Turkish literature has never lacked cult authors. The meaning of the text produced by these authors is not limited to a literal understanding. Rather, whatever they write, they write from a personal point of view, so that the "fans" of the cult author tend to discover a sacred and secret meaning. The readers of the cult writers feel like chosen ones, and a mysterious circle forms around the cult writer. Nuri Pakdil is one of those uncommon characters in Turkish literature. He is among the rare modern cult authors. The secrets surrounding the Nuri Pakdil cult cannot be deciphered via the literal meaning of his words. Instead, you should pay attention to his artistic style of writing which is full of ambiguous gestures. I think Pakdil has become a cult writer thanks to the ambiguity of his style, which allows the reader to fill in the gaps according to their own interpretation. Nuri Pakdil was born in Kahramanmaraş in 1934 to a religious family. His father, Ziyaoğlu Hoca Emin Efendi, a Muslim scholar worked as a draper and haberdasher, and was married to Hatice Hanım. Young Nuri learned how to read the Holy Qur'an before he learned the modern Turkish alphabet. His father refused to send him to an official elementary school because of his traditional beliefs. Nuri graduated from elementary school by passing a special exam. Due to his uncle's insistence, he attended secondary school after a three-year gap. Meanwhile, young Nuri read many books written in old Ottoman script. We don't have much information about Pakdil's personal life since he is a very private person. He has always presented himself as a writer. Even during his high school years, Pakdil had the posture of an author. He published his first poetry and essays in "Demokrasiye Hizmet" (Servce to Democracy), a local newspaper in Maraş. Organizing and publishing a periodical seems to have been a central issue in Pakdil's life. His first magazine was called "Hamle" (Move), which he published in 1954 and 1955 together with schoolmates. His role model was Necip Fazıl, who at that time was publishing "Büyük Doğu" (Grand East), a periodical that young Nuri Pakdil subscribed to. Necip Fazıl had an enormous impact on a whole generation of young Muslims including Nuri Pakdil and his friends in Maraş from the 1950s to the 1970s. A gifted poet, Necip Fazıl's poetry is modern and existentialist, with psychological nuances, which must have stirred the soul of youngsters like Nuri Pakdil. Furthermore, Necip Fazıl was a Muslim mystic as well as a political writer. His work promoted religion and tradition, and resisted Westernism and secularism. His character had two aspects: a bohemian and mystic poet, and an adversarial politician, depending on his pen. 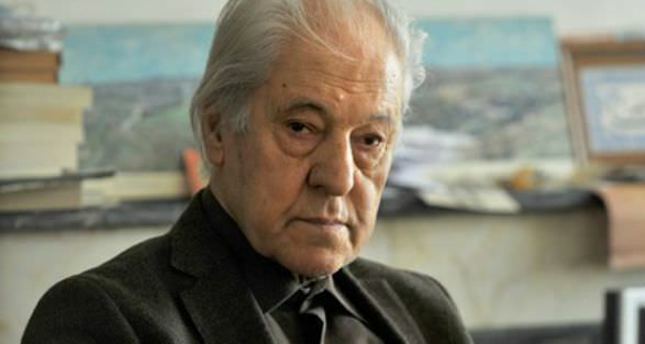 Though he read Necip Fazıl's work and learned from him, Nuri Pakdil was not simply an imitator. The two characters of the role model and the disciple were entirely different. Necip Fazıl was a jovial man while Pakdil was a rather silent and even schizophrenic individual. Necip Fazıl was a child of the big city, a real dandy; in contrast, Pakdil was a humble man from the provinces. In spite of his existentialism, Necip Fazıl's style of writing was extrinsic and aimed at the masses. However, Pakdil's style was intrinsic and he wrote for certain individuals. After graduating from high school, Nuri Pakdil moved to Istanbul in order to attend the Law School at Istanbul University. However, his passion was writing and publishing. So, he worked as the arts page editor for "İstiklal" (Freedom), a weekly newspaper in 1964. Pakdil met the prominent writers of the new Islamism like Necip Fazıl and Sezai Karakoç in Istanbul, graduating from the Law School in 1965. He worked as an intern for a year and gained his attorney's license. However, he struggled with the secularism he encountered in the profession of law, and quit in 1967 in order to work for the DPT (State Planning Organization). He worked for DPT from 1967 until 1973. Afterwards, he worked for the Ministry of Industry until his retirement. Pakdil had long intervals of silence as a writer. He neither wrote nor published anything from 1984 to 1997, a fact that has turned him into an urban legend. After 1997, he began to publish his earlier works and write new pieces. Finally, he was granted the Necip Fazıl Honor Award in November this year. President Recep Tayyip Erdoğan listened while standing as Pakdil made his prize speech. The silent writer also gave an interview to the press where he explained that he was not a traditional rightist, but a revolutionist, which shocked many of his rightist disciples and readers. Nuri Pakdil never married, although once he was engaged to a young lady, but the two were'nt able to get married. Pakdil never takes off a certain wristband carrying a "N.A." script, the capitals of the name of his ex-fiancé. His life as a writer and publisher was more important. In 1969, he began to publish "Edebiyat Dergisi" (Journal of Literature), which he continued to publish with some breaks until 1984. He also published 45 books in the meantime, 18 of which were his own. The first book Pakdil published was "Batı Notları" (Western Notes), where he makes comparisons between the Western and Islamic worlds. "Edebiyat Dergisi" was not only a literary journal. It was rather a school of thought as well as praxis. First of all, Pakdil was very meticulous. He would have the whole journal printed once more if a single typing error was found. He used the term "uygulayımbilim" (science of praxis) which implies to keeping to personal rules. He applied and taught these rules to his young followers who also wrote for the journal. Although Nuri Pakdil was raised by a very traditional father and he himself was religious and cautious, he never intended to be traditional. He sees his persona as revolutionary - a kind of self-revolutionary. He used modern terms in order to imply Islamic meanings. For instance, he never mentioned the Holy Quran, but he always used the term "the Holy Book," writing "Doctrine" to signify "Islam." Rightist Muslims criticized Nuri Pakdil for the same reason they criticized Sezai Karakoç, for using the "öz-Türkçe" (simplified or purified Turkish) of the secularist circles. Nuri Pakdil's understanding of politics had nothing to do with leftism, socialism or Marxism, but he defines himself as an anti-capitalist. He always cursed capital and private property. Nuri Pakdil does not write about any issue in a direct way. Because of this, he wrote in many genres including poetry, short story, play-writing, essay writing, personal journals, notes and memoirs. But it is only his mysterious essays that have a fanatical following. He is not accepted as a real poet or story or play writer, but seen as a man of gesture. Gesture and posture are, I think, the central themes of Pakdil's writing. He writes, "One can be free only by the help of mysterious sentences." His writing is a complete mystery that calls the reader to pursue it. His mystery is not like a puzzle, which can be solved by the reader with a little hard work. There are no solutions to his mysterious sentences. They are like ambiguous passages between the souls, that of the writer and the reader. In conclusion, we can say that Nuri Pakdil himself established a silent cult around his name by calling his readers to a closed circle of significance.